As certified installers, Smith & Sons offers a wide range of roofing shingle options from IKO and GAF shingles. Our years of experience ensures the work is done professionally and follows the guidelines set by the manufacturer, backed by the best warranties. When we do an estimate, we will actually go on the shingled roof to guarantee the quote is accurate. We want to make sure each customer knows exactly what needs to be done on the roof. Smith & Sons Roofing offers services such as flat roof repair and maintenance and flat roof installations for commercial, industrial and residential customers. 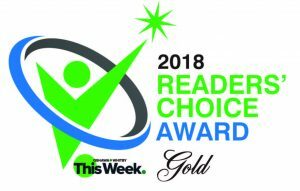 We have an experienced team of roofers who can help you select the right type of roof for your home or commercial building, or evaluate your existing flat roof to suggest the proper repairs. 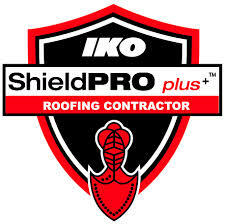 Our roofing installers are trained and certified in the installation of APP, EPDM and TPO membrane. 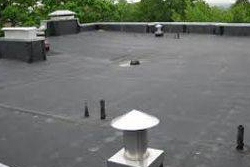 We install membrane on small residential jobs, as well as large commercial buildings and have an excellent reputation for quality workmanship in the flat roofing industry. 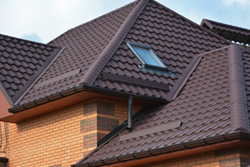 Looking for superior durability and energy efficiency when it comes to your roof? When you install a metal roof on your home, chances are good that it will be the last roof you ever install. At Smith & Sons Roofing we use Buchners aluminum shingles made from 0.022-gauge aluminum, painted with fluropon coating. These shingles have a unique interlocking system and come in nine different colours, for long term, worry free, roofing! While all homes eventually need new roofs, this may not always be the most cost effective solution for your home, especially if your existing roof only needs minor repairs. To make sure that your current system provides optimum performance, it must be properly maintained and immediately repaired if damaged to avoid complications to your roof and the rest of the building. 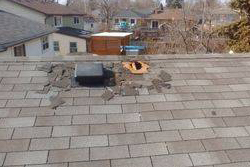 We do repairs on both shingled and flat roof in Oshawa. Repairing your roof is not only beneficial to the life of your existing roof, it can also save you money by protecting the interior of your home. No repair is too large or too small and we pride ourselves in the ability to detect and fix roof leaks. 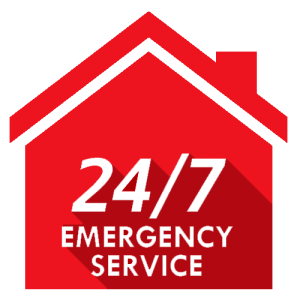 Schedule a free estimate for your roof repair needs today! 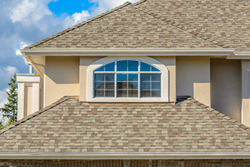 No matter what your unique roofing need is, get started with a free quote today! All work is backed by a five-year comprehensive warranty on labour! See what past customers have to say about Smith & Sons Roofing. 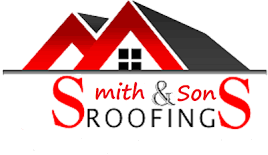 At Smith & Sons Roofing we offer a multitude of roofing services. Contact Smith and Sons Roofing in Oshawa for a FREE quote today!